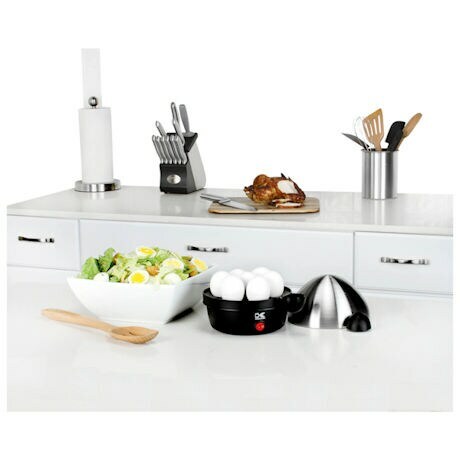 Tired of scrambling to prepare breakfast for your family while getting ready for your day? 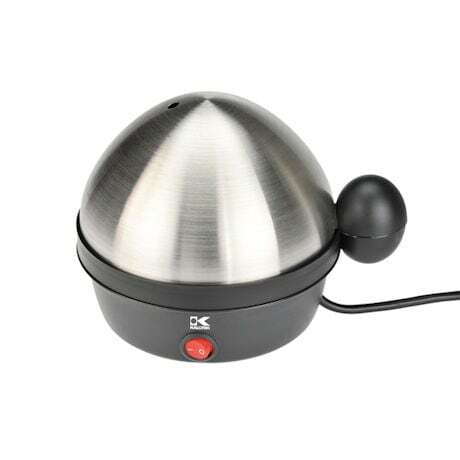 With the Kalorik® Stainless Steel Egg Cooker, it's like having a second chef in your kitchen helping you out the door. 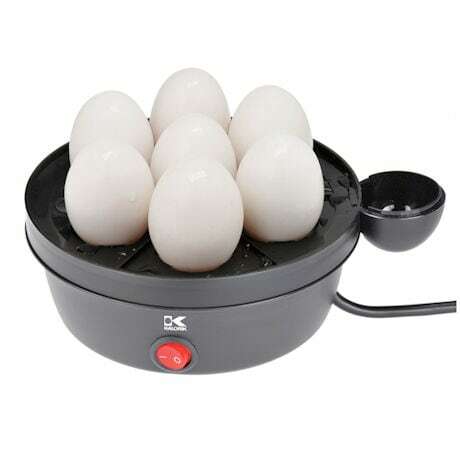 Our egg cooker makes up to seven perfectly done hard, medium or soft boiled eggs, or alternatively four poached eggs. 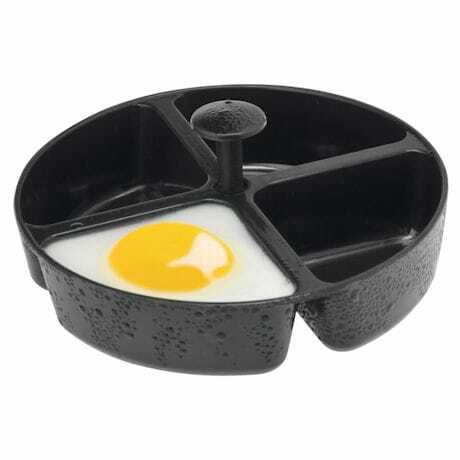 Then, the handy buzzer lets you know when breakfast is ready, leaving you free to tackle your morning. 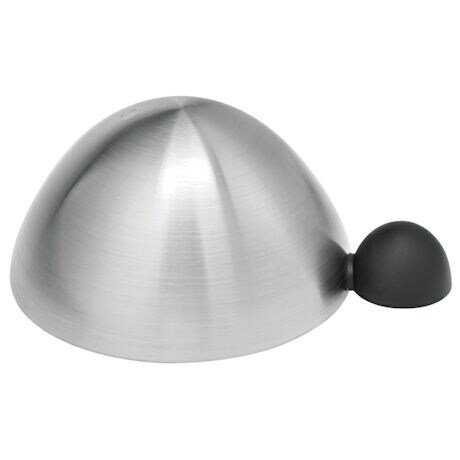 Black with Stainless Steel lid. 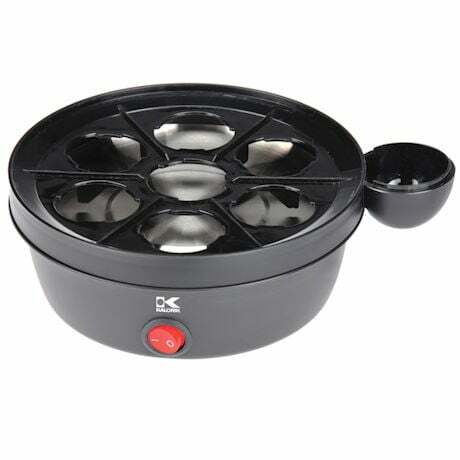 6¼"W x 7¼"L x 6"H.
Also can poach up to 4 eggs at once.